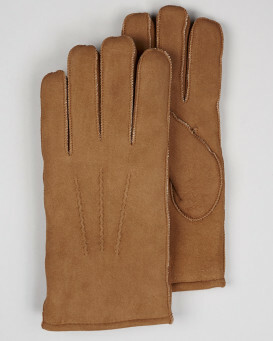 Men's Minnesota Tan Suede Shearling Sheepskin Gloves. 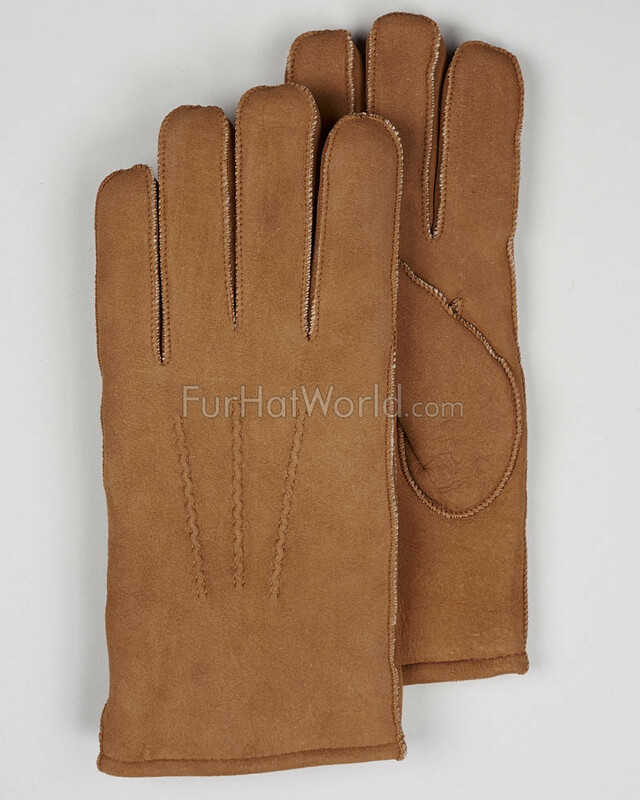 Soft suede leather finish with a silky soft & warm natural sheepskin wool inner. 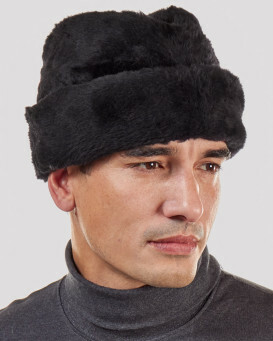 Made from 100% merino sheepskin, one of the worlds finest quality sheepskin wools. 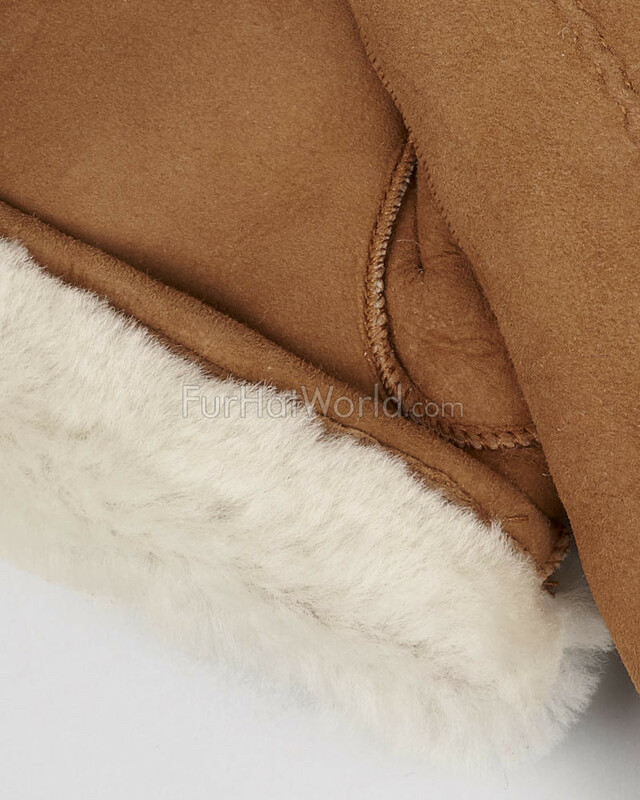 Natural sheepskin is soft and light, amazingly warm and exceptionally durable. 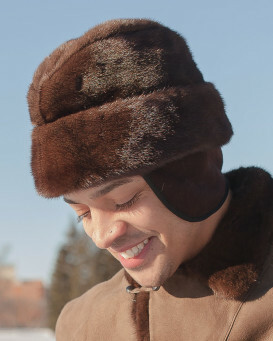 No natural or man-made fiber possesses the virtues of 100% shearling sheepskin. 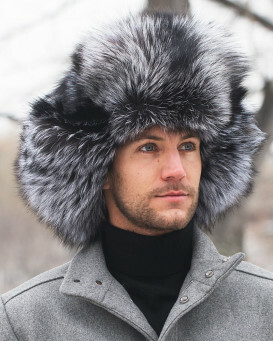 The unique combination of leather skin on one side and wool fur on the other lends it remarkable properties. 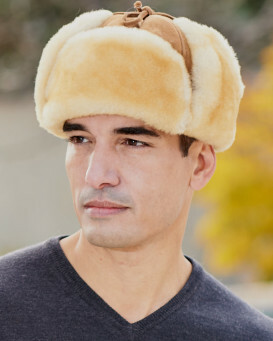 Sheepskin wool is soft and resilient. 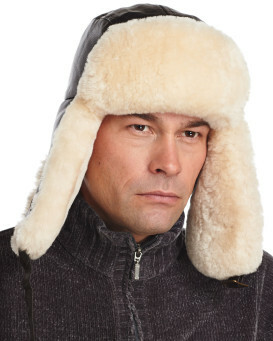 Its fibers breathe, acting like a natural thermostat for your body. These hollow fibers can absorb up to 30% of their own weight in moisture without feeling wet, keeping you perfectly dry regardless of the weather. "Super gloves, looks good and warm." "Although I used the fit recommendations on the website for a large, they are a little tight. I am hoping they loosen up over time by the lining getting more compressed. 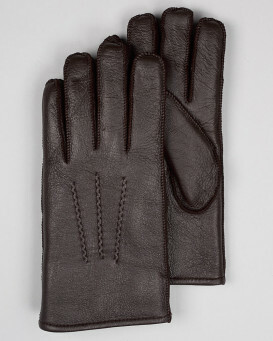 That being said, these are very well made and good looking gloves. I would offer the advice that you order a size larger than you think you need bsed on my early experience, but keep in mind that could change over time." 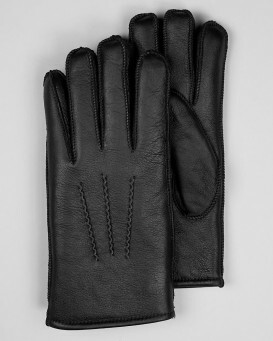 "Great gloves, well made and warm. Received in UK in 5 days, excellent service. I ordered large but they are slightly tight. 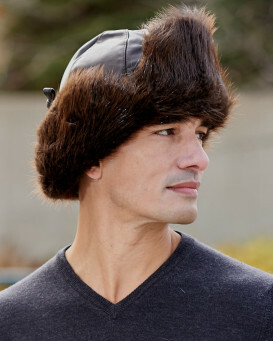 If in doubt, size up." "I ordered these gloves in January of 2016. I was please with how quick the shipment arrived. 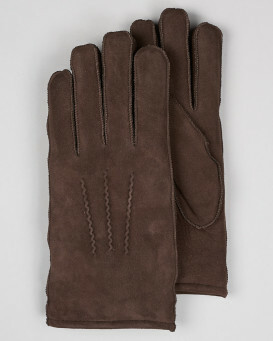 The gloves are very well constructed and the suede is thick, but still soft. My only complaint is that the "XL" size were still too small. Fortunately, the customer service team is top-notch and were very understanding about my desire to return them. 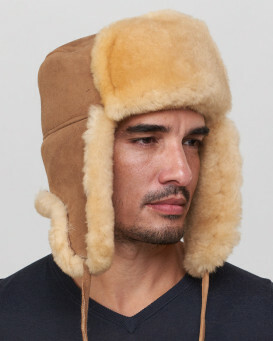 I'm sure I will have future purchases with Fur Hat World." "Seem warm so far, Made in China !?" 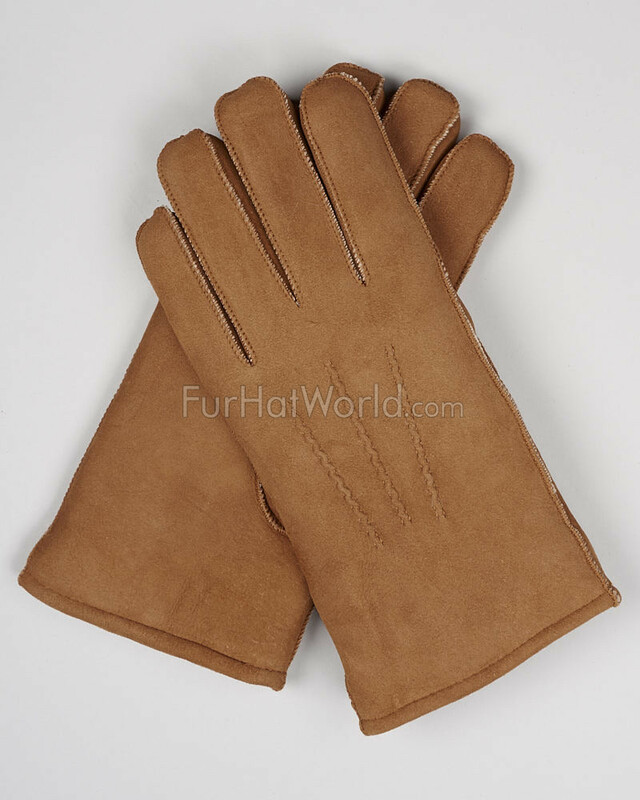 "The quality of the gloves is very good, but the color seemed a bit more yellowish than the tan I expected. They are a bit snug at first, but should stretch with wear." "Excellent product and can't beat the price. 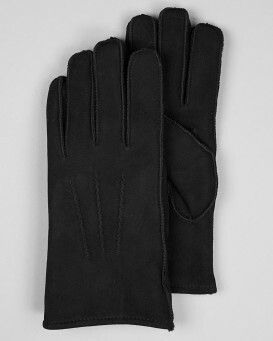 My hands no longer care about Global Colding after I put on these gloves!" "Great gloves . Received promptly . Properly priced ."